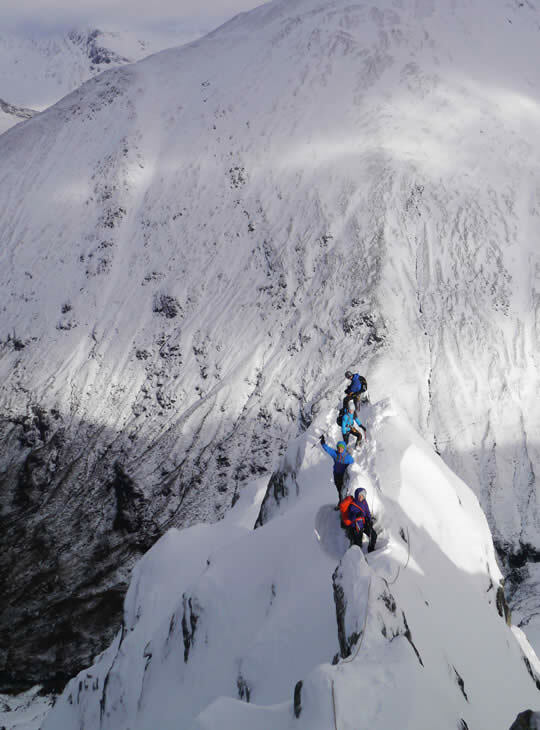 Spend an exhilarating weekend of guided mountaineering on some of Snowdonia's classics. In winter, Welsh scrambles and gullys become more demanding and exciting. In a group of two, you'll accompany your instructor as you make your way up and over some of the most spectacular ridges or scrambles in Snowdonia. Using a rope, ice axe and crampons wherever necessary, you'll overcome the complex challenges that winter conditions add to the adventure. You'll gain confidence on more technical winter terrain. We'll plan the itinerary in line with your needs and aspirations, and depending on where the best conditions are to be found. There will be two good days 'on the hill'. The Welsh winter can be fickle, and snow and ice conditions can't be guaranteed. Throughout the weekend we'll have a flexible approach to the programme to make the best possible use of the prevailing conditions. If there is no snow the course will still run. You should have a good level a hillwalking fitness, basic winter experience (such as ice axe and crampon skills), a head for heights, some scrambling experience and a thirst for adventure. You need to be a fit summer hillwalker and you'll find some climbing experience to be very beneficial. 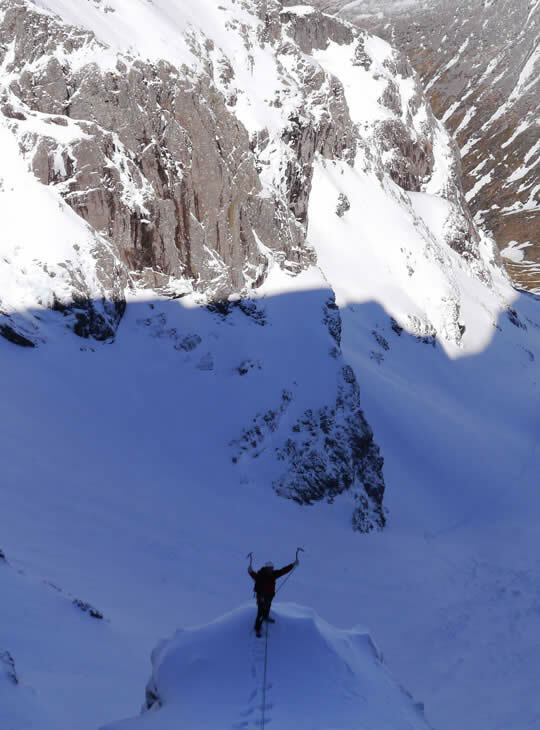 You'll become a winter mountaineer with some of the UK's most iconic ridges under their belt.